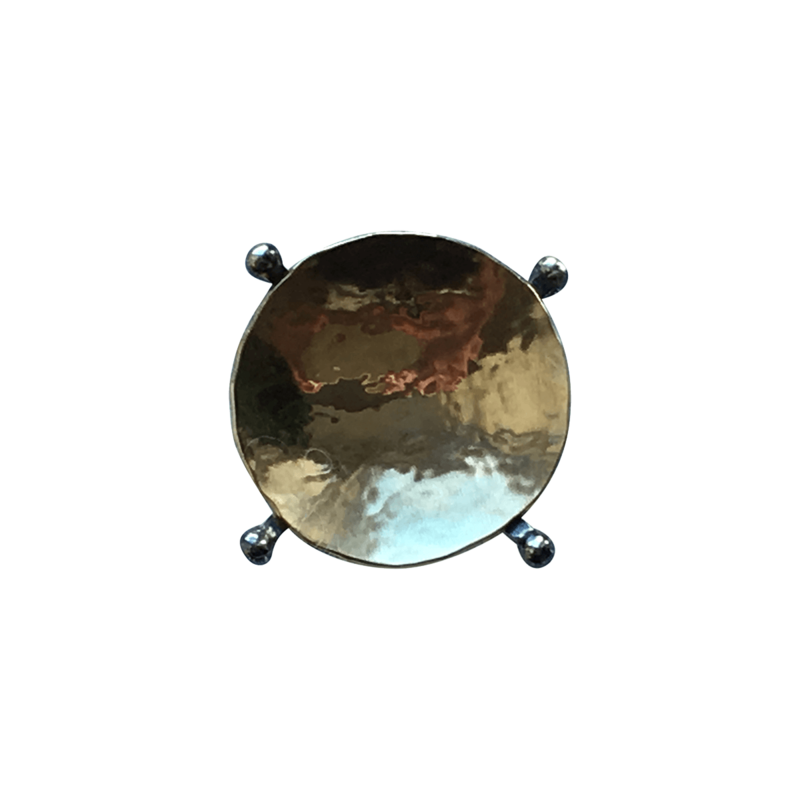 The double ring band is made of oxidised silver, which creates a raw, natural expression, but with the round 14 carat gold surface, an amazingly beautiful balance is maintained. 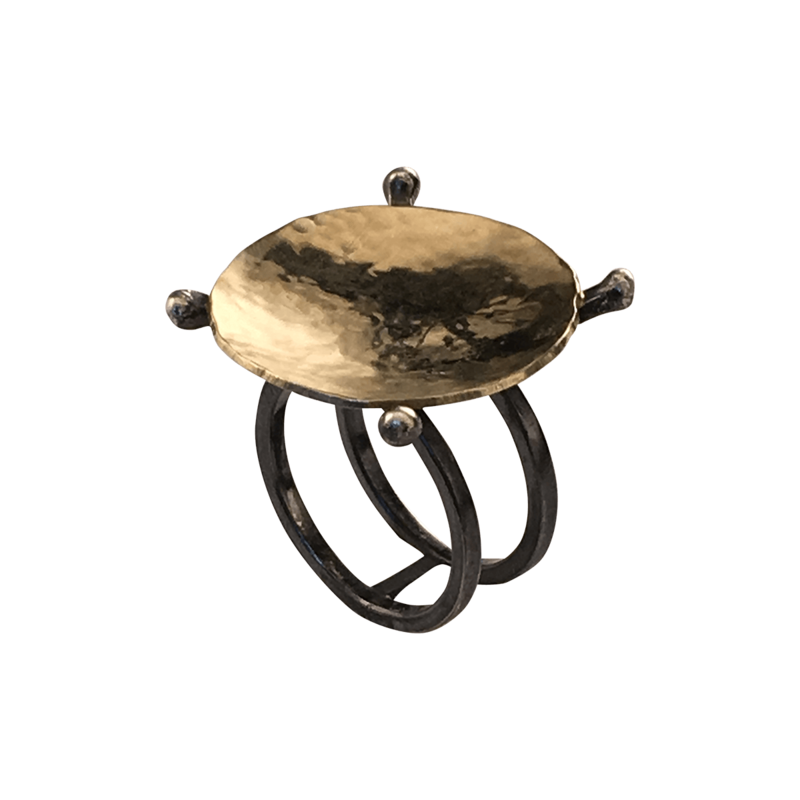 YPPIG ring in gold and oxidised silver. 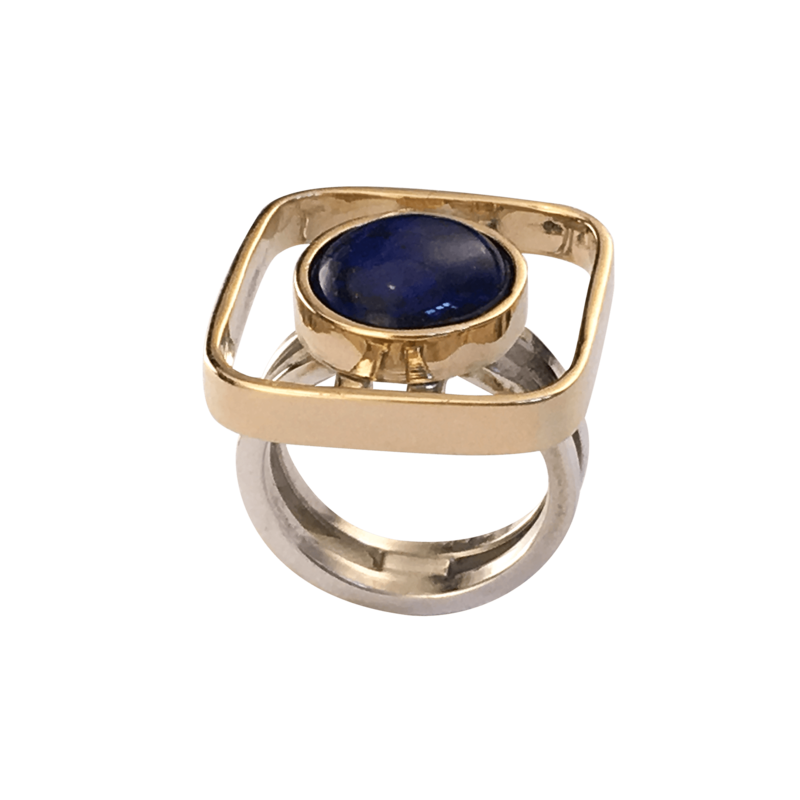 This YPPIG ring in gold and oxidised silver is an incredible design with a beautiful balance of the raw and the elegante. If you are looking for something truly unique, YPPIG is made for you. 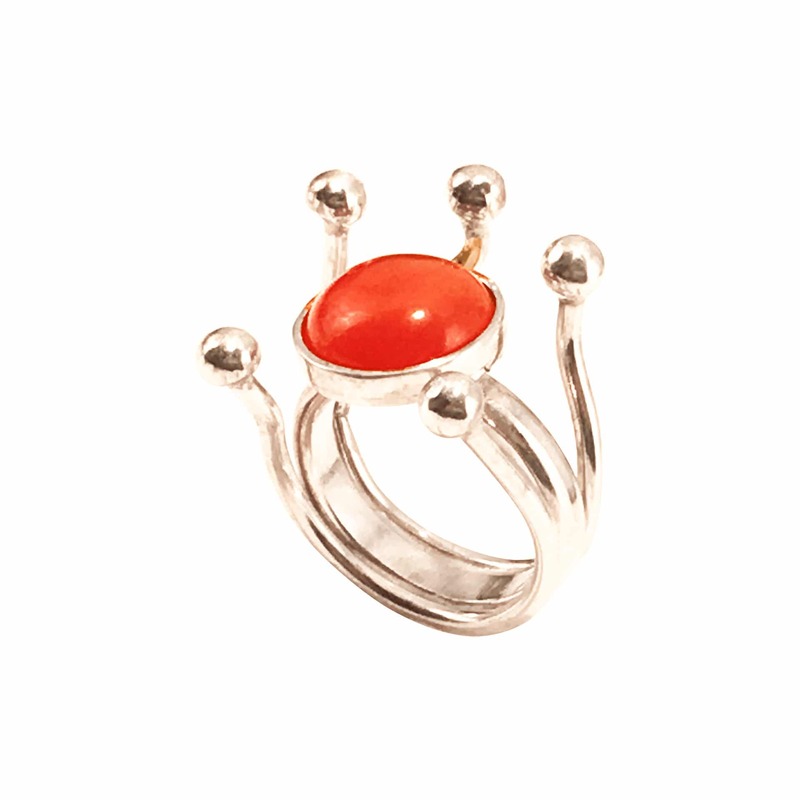 The double ring band is made of oxidised silver, which creates a raw, natural expression. With the round 14 carat gold surface, an amazingly beautiful balance is maintained. 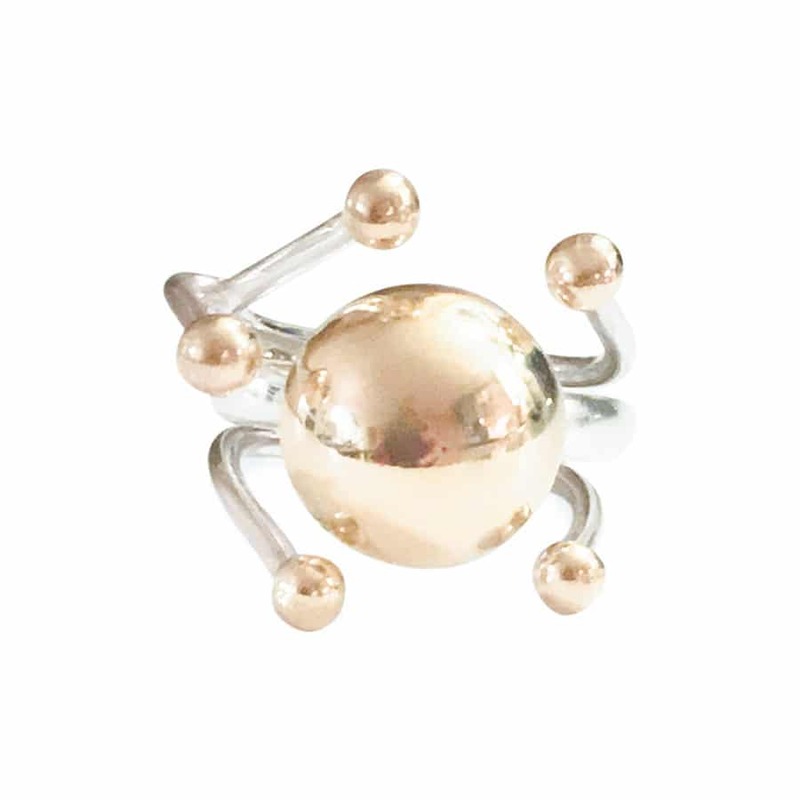 As with any other jewellery from Pernille Müller, this ring is made of raw amounts of solid precious metals. This makes it very durable and allows you to wear it every day and at special occasions. A timeless and sophisticated piece of jewellery should not be hidden away only to be used once or twice a year. This ring is a part of the YPPIG range, which also consists of an elegant ring in hammered silver. The ring is versatile and allows you to be creative. You can use the ring in other places than on your finger – how about using the ring to join the ends of a scarf around your neck and create a beautiful and charming look. The YPPIG oxidised silver ring can also work wonders with other pieces of jewellery, such as elegant sleeve brooches or classy earrings.